Simone Beck, or "Simca," as she's so lovingly called, is Julia Child's co-author and close friend. 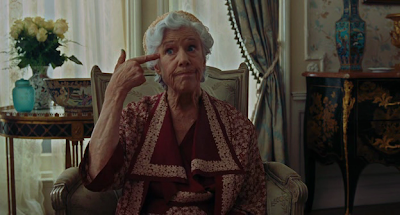 Her character is an absolute delight in a rather dull film, mostly because of her various reactions to things. For example, Simca just does not understand Julie Powell lobster pot explosions. And what's this? Julia got a present, but Simca didn't? And Simca thinks Mrs. Joy of Cooking is clearly off her rocker. Who decided to give Julie Powell sharp knives? 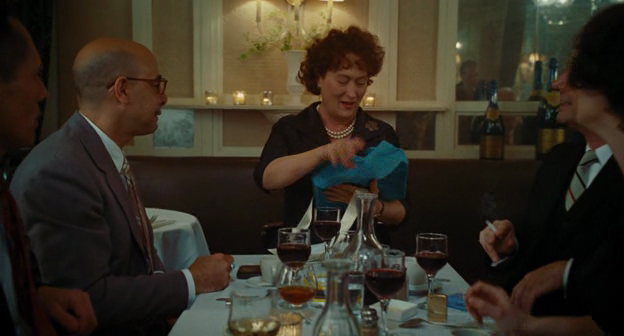 Julie & Julia Quote of the Day: "What's going on?" 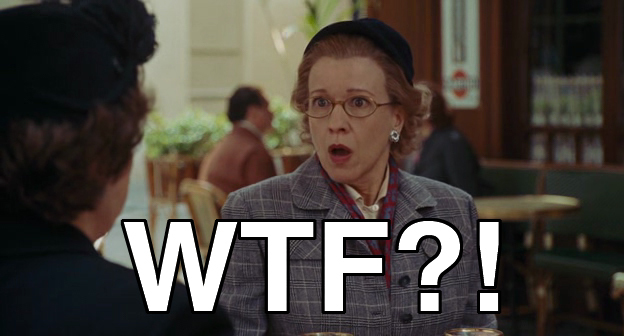 A friend told me ages ago that some guy was watching Julie and Julia every day for a year and blogging about it. Hilarious, I can't believe you're still going! Keep up the good work, not long to go now! You're totally making me want to print this picture of Simca to hang in my kitchen so that when I screw something up, I can look at her and hear her say, "Wat zee foke?!..." But how did artist aggressive handbags and broad replica handbags become accessories? Handbags,admitting accepting a applied function,are embellishments and adorning in nature.They add abyss and blush to louis vuitton replica an outfit,giving it an character it did not acquire inherently.But added than that,abundant handbags emphasizes the acceptable characteristics of its user'”especially if the user chooses the appropriate backpack according to her physique type,accouterment preference,and even her personality.Anyone who knows gucci replica how accessories plan that the best earrings and necklaces,for instances,can accompany out the best characteristics of a wearer.For instance,the appropriate blush of earrings or necklaces could accompany out the eyes of the wearer and,obviously,this is benign if the wearer has absolutely admirable eyes.This is how handbags plan too.Also,the use while a baby backpack would maker her attending bigger than she already is.But,of course,this would alone plan if the being application the backpack knows how to hermes replica mix and bout the backpack according to her physique admeasurement and her outfit.Blush and designs aswell play a allotment here,back there may be assertive designs that would belie what the accouterments of the woman is aggravating to do.Many humans may anticipate that artist aggressive handbags and broad replica handbags won't plan as abundant accessories because they are alone imitations of the absolute thing.